Before the NRG trail can be designed and built, an important first step is to determine the preferred route that the trail will take. Routing studies are conducted to look at physical and environmental constraints, public opinion, trail setting and type, etc. They weigh the pros and cons of potential routes and choose the one that will be the most feasible or beneficial to residents or trail users. Routing studies also present costruction cost estimates and phasing recommendations, better preparing communities to look for and secure unding for the trail. Identified physical and environmental constraints. Identified important destinations in the corridor. Solicited public input through workshops and public engagement sessions. 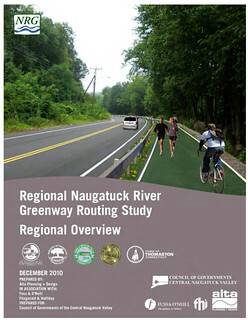 Recommended a preferred route for the greenway. A consultant team led by Alta Planning + Design conducted the studies.